We just finished this space keeping in mind what we like to see when we travel as a family and with another family. 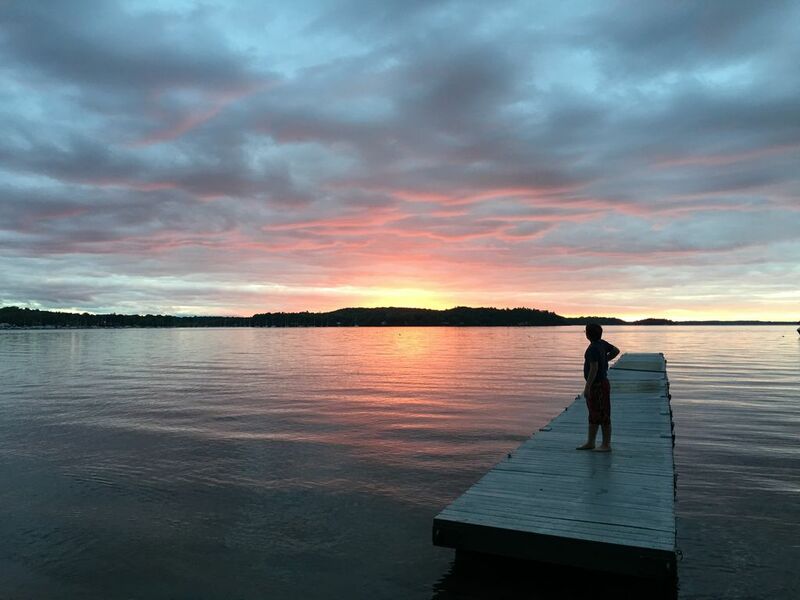 Our lakefront home is a perfect base from which to explore all Vermont has to offer and a great place to kick back and enjoy the lake. We have 155' of sandy beach with a large firepit and a dock to fish from. We are just north of Burlington which has a vibrant arts and restaurant scene. Wonderful house - Great location - would definitely stay again. We stayed this past weekend. Had a fantastic stay. The house is well maintained, very clean, has all you need to have a great stay. The owners have thought of everything you could need. The kitchen is fully equipped - even has some of the small essentials you may not bring yourself ie salt, pepper, coffee, oil etc. Not having to bring towels and linens was so nice. Very comfortable and enjoyable. It was cool so we did not make use of the beach but it was nice to see it and walk on the dock. Location is great. Loved the house and the location was convenient for us. Homeowners were available (by text) to answer questions. Everything was clean and there were many thoughtful touches to make us comfortable. The apartment was clean and comfortable, and roomier than it looked from the outside. The kitchen was equipped with a variety of K-cups and tea bags, as well as basic condiments in the fridge. We didn't use them, but there were also a number of games in the closet in the bunk bed room. The living room was comfortably furnished and we spent most of our time in the rental hanging out there. We had one issue which was that we were 3 adult couples (parents and grandparents attending UVM graduation) and so we had planned on having adults in the bunk beds, but the bottom bunk had an odd slat structure that couldn't properly support an adult. We were able to move the mattress onto the futon and everything worked out fine. We called it to the attention of the owners and I'm sure they'll be able to remedy that for future guests. The only other thing worth calling out is that it wasn't obvious from the listing that it is one of 3 units in the house. (I think the other two are longer term rentals, not vacation rentals like this one.) We didn't hear any noise or have any issues with the other tenants, we were just confused when we arrived.